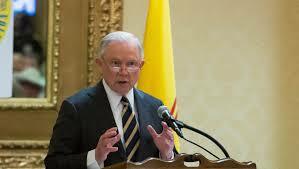 Yesterday, AG Jeff Sessions addressed two Sheriffs groups in Las Cruces, NM. His remarks are embedded below or you can download the speech here. His remarks serve as an antidote to the claims of Little Tommy Youdull, Martin Hiney and the local environmentalists that our border is secure.